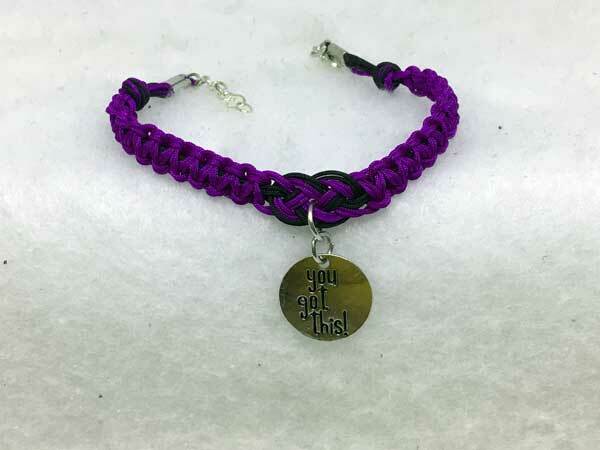 Black and violet cord are used to compliment the YOU GOT THIS charm. The round charm is silver. The color that you see in the picture is just a refection of my gold shirt.